This Charles Jacobs dining chair provides a crisp, clean look to any kitchen, office or dining room. These chairs feature a curved ergonomic design with a contoured back that conforms to the natural curve of the human spine. The seat features good quality padding and that reduces pressure on the thighs for greater comfort and an easily cleaned PU Leather surface. 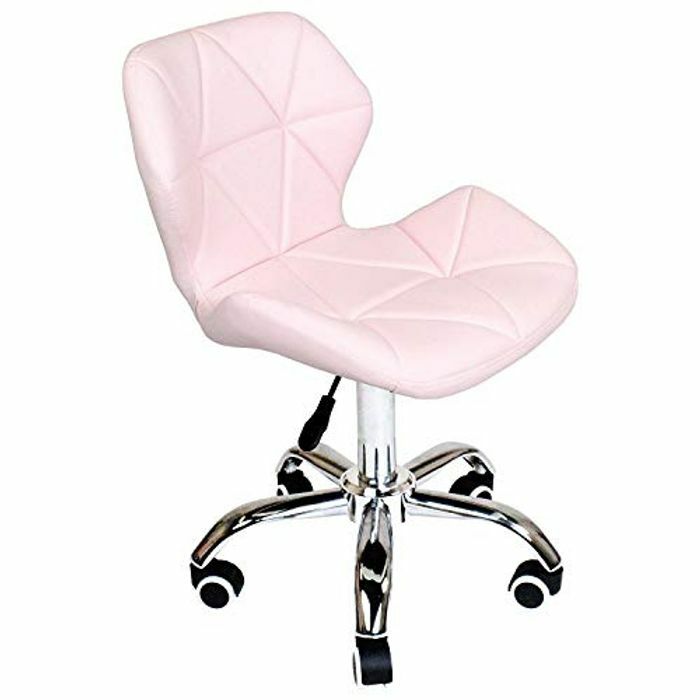 Due to the wheeled star base this chair is suitable for use with laminate and tiled flooring. Adjustable height thanks to hydraulic lift, you can adjust this chair to your exact requirements. Being lightweight yet sturdy this chair is easy to move from room to room. It comes in a variety of colours to go with all interior tastes. Easy to clean and maintain thanks to non-absorbent material. Dimensions shown are approximate and to the best of our knowledge. Due to the nature of this item, some dimensions may be very slightly smaller or larger than shown depending on the exact place of measurement.